Every year we have fun celebrating Dr. Seuss’s birthday on March 2 with some fun Dr. Seuss-inspired crafts & activities to go with our favorite books. I thought we had read them all, and then we discovered my daughter’s new favorite. 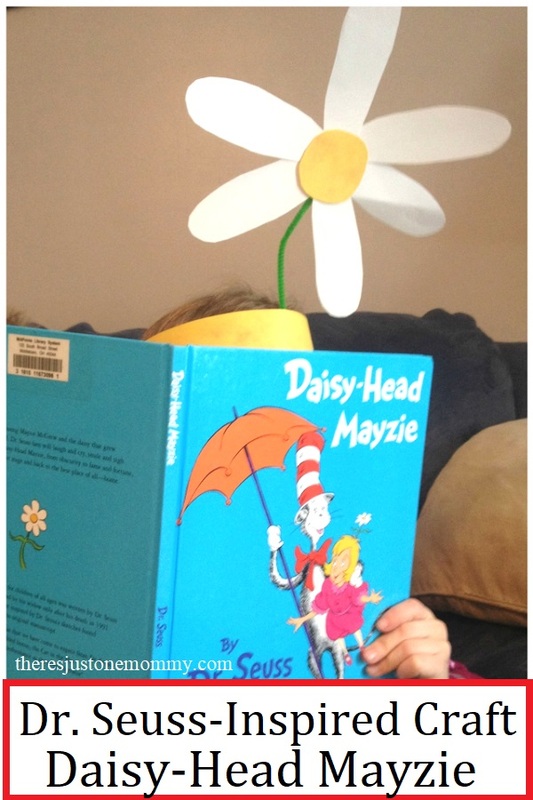 After reading it we had fun with this simple Daisy-Head Mayzie craft. This craft is fun for all ages. If you are looking for fun ideas for an older Seuss fan, you will also want to check out these Dr. Seuss activities for older kids. To make the headband portion of the craft, cut 2, 2 inch thick strips of yellow construction paper. Tape the 2 strips of paper together at one end. To make sure the headband fits, wrap it around the child’s forward and secure the free ends together with clear tape. Next cut a 3 inch wide yellow circle for the daisy’s center. Then cut 5-6 white construction paper petals to form your flower. Glue the petals to the back of the daisy’s center. Then, cut a green pipe cleaner in half to form the daisy’s stem. Use a bit of tape to secure the stem to the back of the daisy and inside the headband. 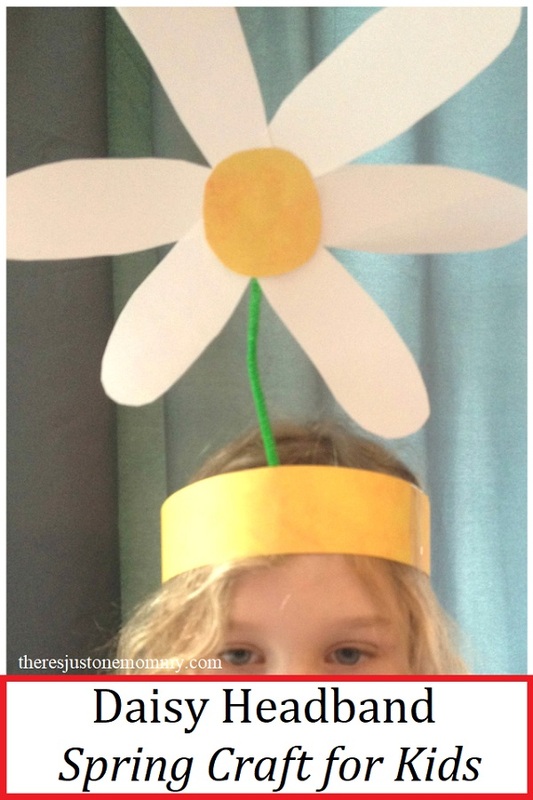 It’s fun to wear the daisy headband craft and pretend to be Daisy-Head Mayzie. The flower will bob around on the pipe cleaner, sure to get a few giggles. I hope your child enjoys this Daisy-Head Mayzie craft as much as we did. Don’t miss out on fun kids crafts and activities. Sign up for our twice monthly newsletter! That is such a cute hat for that! See Dr. Seuss gets me rhyming.